Clarence Edward Dutton ( 1841-1912 *; geologist (field and theoretical), proposed the term (but did not originate the idea of) isostasy ). The present volume surveys the instrumentation supporting the new seismology. 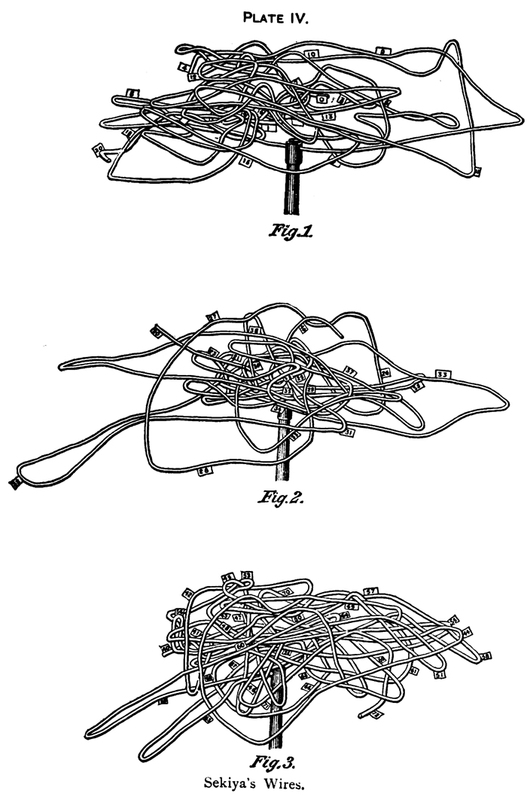 A nicer representation of Sekiya’s Wires is found in J. W. Powell and C. E. Dutton, Ninth annual report of the United States Geological Survey to the Secretary of the Interior: 1887-’88 (1889) here.